As I said before I handle everything in the cloud. My phone contacts are synced with google contacts as well as my phone calendar. 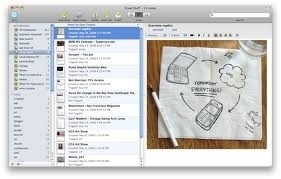 I also sync my notes with Evernote and I was an avid user of google groups. I loved the ability to add a dentist appointment on my laptop and instantly it would appear on my phone. I would also add an e-mail to a phone contact and instantly I could pull up their email address in gmail. Even in school, I along with some of my classmates would be working on the same paper at the same time through google docs and you would instantly see what the other person was typing. I was really in love with the cloud!!! Well at least until I had a week of cloud fail. 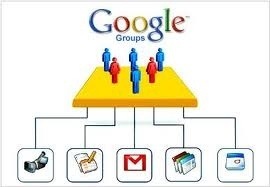 Without notifying anyone, google removed the pages and documents from google groups so I lost a ton of my papers and group pages that I had in my google groups accounts. This included meeting minutes for organizations I was a part of and even personal documents that I wanted to use later on. All of my documents I had stored in the cloud were gone just like that, and it did not end there either. Apparently google also decided to change the way they did account authentication with active exchange for mobile devices without notifying customers so out of no where I lost all of my contacts from my phone and all of my events from my calendar. Many of my apps were centered around my contacts so I was even having issues with my apps. I had no time to really research why this had happened so it took me a week to even get my phone back up and running in working order. I used to think that the cloud was the ultimate form of backup for data because the information would always be there. I was so very wrong. – The cloud can be just as fragile as any form of media that you would use to store data whether it be a hard drive or a dvd-r.
2. The cloud is new technology and with all new technology it takes time to mature into a reliable platform. I would encourage people to use the cloud but with discretion and make sure you back everything up locally on occasion because there are no promises. Just the other day many of amazon’s cloud servers and Microsoft’s cloud servers failed and there were many disgruntled customers. Imagine if you were using their cloud platform to run a business like many of their customer’s probably did. You would have lost hours of potential revenue and possibly even current and potential customers. Many companies today are looking toward the cloud as a viable option to do business. Some companies are actually running entirely in the cloud. I would not recommend that but I believe there are some excellent cloud options for companies such as Office 365 (Microsoft Office and Exchange server in the cloud), cloud ways for app deployment and project management and even Salesforce.com (Provides the ability to run many company functions if not all completely in the cloud). So let me concluded by going back to my hypocritical stance encouraging you to pursue cloud technology, but urging you not to put all of your trust in the technology. I will probably write a more in depth post regarding cloud technologies in the future including business use cases where the technology should be utilized and where it should be avoided, but I thought I would just start it off with my week of cloud fail and why we can never truly trust the cloud.